The Analyst Desk from the Live Preview Show. This year's Games will use the placement equals points system. Many of you just saw Dave Castro brief the world on what the 2010 scoring will be. In case you missed it, here are the details. Every scoring system has pros and cons, but some systems are better suited to certain competitions. 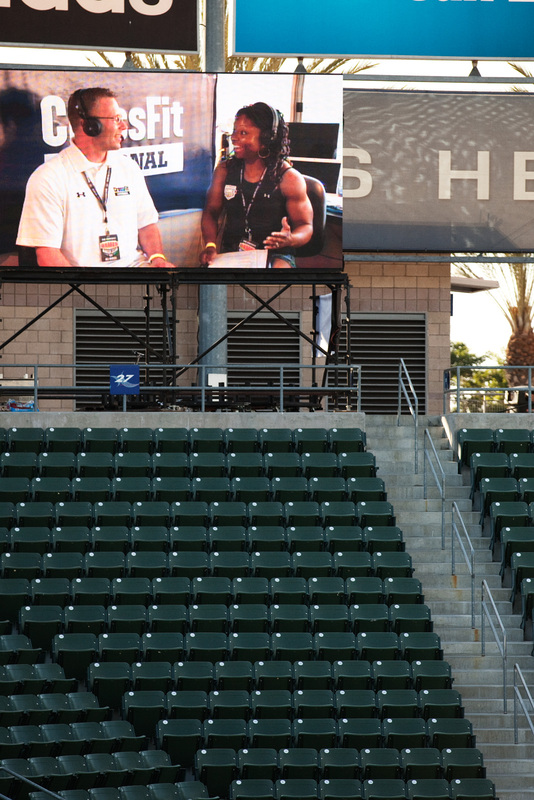 The 2010 CrossFit Games are about the athletes. They have all qualifed in extremely demanding circumstances. They have beat out some of the biggest names in CrossFit history. Many have dominated their Regionals. Now the question becomes, how do these beasts compare to each other. And for that, their relative performance is the best indicator of their relative fitness. Finish closer to the top than your peers over the course of the weekend and you end up on the podium. Points will be awarded for placement in each event: the winner will receive one point, second place two points, and so on. The competitor or team with the lowest number of points at the end of the competition will have proven adept at each and every task, and those athletes will be declared the world’s fittest. This system is particularly useful for CrossFit competitions because we are not testing seven or eight competitors in one event. 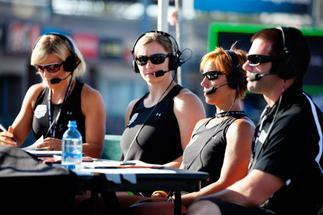 CrossFit competitions test a number of athletes across broad time and modal domains. We want to find the athlete who lacks weaknesses, and so we seek out those weaknesses with single movements, couplets, triplets, chippers and any combination of movements that will test the work capacities of our athletes. The system also allows us to score workouts based on time and weight, which is useful in CrossFit events where loads are just as important as times. The main problem with proportional scoring is that the margins of difference between different workouts are not equally significant. That means that a 10 second margin on one workout doesn't necessarily equate to a 10 second margin in another workout. Trying to manage those variations necessitates an extremely complex scoring system that would detract from the competition. I think a system where 1st = 1 point, 2nd = 2 point etc is good, but it can be tweaked further. If you really want to find an athlete who lacks a weakness, the winner should be the person who has the lowest worst score. So if someone finishes 1st and 15th in the first two events, and someone else finishes 7th and 11th in the two events, the 2nd person should be ranked higher because they have fewer weaknesses, whereas someone who dominates one event which compensates for their bad performance on other events doesn't mean they have few weaknesses, it means their strengths just make up for their weaknesses. 16 July 2010 / 12:09 a.m.
My only question about this is whether every competitor will get a chance to tackle every event this year - otherwise, you'll get the same system as last year, where the final few events leave less opportunity to plummet down the rankings with a poor showing. 16 July 2010 / 3:42 a.m. I agree with Joel- If every athlete doesn't compete in every event, finishing poorly in the first event is a bigger point loss then finishing poorly in the last with fewer athletes. 16 July 2010 / 4:02 a.m. I agree with Matt and Joel, but that assumes they haven't thought of this. Maybe last year they considered running and deadlifting 10 points more important. It could be they consider the 9 fundamental movements more important and make a cut after using all of those, because differences between other movements are technically "less important." 16 July 2010 / 4:24 a.m. While the 10 sec margin may not be the same across different events, by defaulting to a placing equals score scenario you are endorsing the even more incorrect notion that the margin of differnce between 1st and 2nd is the same as between any other two finishers - in any event. Better would be to give the top finisher 100 points and all others fractional points based on their performance. Qualifying the field again and reducing the competitors is fine with regard to voting theory. For instance, here the US we generally have a winner take all election for president (with the attendent occasional problems like Teddy Roosevelt getting Wilson elected and Ross Perot's influence) while in England they have a runoff election where they revote on the top two. Each is fine and each can result in different winners given the same voting patterns. There are issues with who "deserves" to win in any voting situation just like who "should" win the Games. 16 July 2010 / 4:40 a.m.
17 July 2010 / 5:25 p.m. I agree with Brad's comment -- somebody who finishes in the top ten in every single workout is (to me) obviously more of an optimal Crossfitter than someone who finishes in the top 3 in a couple of events and in the teens or 20th in other events. Consistency and all-around fitness is what we're after, right? So if you blow it out and take first or second in a couple of WODs but get smoked on the others, that shouldn't be your winner. Not sure how to make that into a scoring system, though . 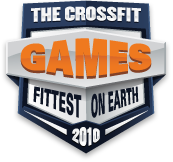 . .
17 July 2010 / 9:24 p.m.
Has anyone noticed the scoring system for the CrossFit Games weights the early events more than the later events? If the events were equally weighted James Hobart, Spencer Hendel and Candice Ruiz advance to the Top 16. Unfortunately Jason Khalipa, Joey Warren and Carey Kepler would not have. Again, in an equally weighted Games, Kepler, Khalipa and Warren wouldn't have even been in the Top 16. For example, after the first elimination in the women's event there were 24 athletes. In the clean/hspu wod, Kristan Clever won the event. In my revised scoring, she received 1 point. Kelly Jo Smith placed 24th, so she received 41 points. I then allocated points to the athletes in between based on their placements by equal increments from 1 to 41. Second place received 2.74 points, third place got 4.48 points, fourth place got 6.22 and so on all the way to 41 (1 to 41 in 24 increments is 1.74). Perhaps this is a better way to do it? Maybe? 20 July 2010 / 11:07 a.m. The idea, as the article clearly states, is "how these beasts compare to each other." A point-per-position (PPP) system works as a comparative system because it is easy to follow and easy to implement. Everyone is asked to do the exact same exercises. If it's the same weight (almost every event) then the fastest wins. If it is a test for strength, then the highest load wins (event 2b). Everyone is better at something than someone else. I think this scoring system is the only one that should ever be used. In the final heats of 16, they should NOT be given more than a PPP because they are only competing with 15 other people. This is a completely comparative competition between the athletes competing. But - if it was decided that the after-cut events are weighted the same as the first, the field should start at 48 (1 PPP), get cut to 24 (2 PPP) and have the finals at 16 or 12 (3 PPP or 4 PPP, respectively). Make sense? But I don't believe that the difference between two places should ever be bigger than 1 point. 23 July 2010 / 12:45 p.m.